Of course, low-carb is the diet of choice for Atkins Nutritionals, the company that nominated DGAC member Dr. Lydia Bazzano. Her research on the short-term effects of low-carbohydrate diets on weight loss and cardiovascular risk factors has helped to buoy its popularity. Atkins Nutritionals has worked alongside the Nutrition Coalition and livestock groups to lobby Capitol Hill and the USDA on low-carb diets—though research has called their long-term health benefits into question. Thankfully, Congress has routinely rejected President’s Trumps budget proposals. Still, there’s a lot we can learn from the hundreds of millions in proposed cuts to food and agriculture research. Late last year, the USDA unveiled major changes to two of the Department’s world-class research agencies—the National Institute of Food & Agriculture (NIFA), and the Economic Research Service (ERS). At the time, USDA claimed the changes were to benefit taxpayers. Will American agriculture research—and the farmers, ranchers, and consumers who rely on it—benefit from the proposal? With a quick scan of recent headlines, it’s clear that from international trade anxiety to the devastating havoc of natural disasters, uncertainty is ruling the day for many producers around the country. At times of uncertainty, USDA’s role is to provide leadership and stability. Given the clear benefit of research and the need for stability in American agriculture, we need to increase and improve our public investment in food and agriculture research—not produce half-baked proposals which further sow doubt about USDA’s diminishing leadership in agriculture research. We should increase public investment in food and agriculture research—not dramatically reduce USDA’s research budget. We should listen to key stakeholders, including producers and USDA researchers, about what they need most—not exclude them from the process. And we should invest in resources which better equip ERS and NIFA staff to perform their job—not put hundreds of miles between them. Yet, paradoxically, the proposed reorganization of ERS and NIFA has only raised doubt as to whether USDA still values agriculture research. In fact, the press release announcing the reorganization cited three justifications for the proposal—and none of them include increasing or improving public investment in food and agriculture research. Even USDA’s own employees have expressed their deep concerns about the intent behind the move. Congressional requests for clarity from USDA have gone unanswered for months even though lawmakers have now requested “an indefinite delay” to the proposed reorganization. On March 12, USDA further ignored Congress and announced the 67 finalists for the new ERS and NIFA location. Now more than ever, it’s becoming obvious that USDA has no desire to listen to Congress. Given the mounting opposition and continued lack of clarity on the proposed reorganization, it’s completely reasonable to ask—what’s the true motivation behind the reorganization? Will it benefit food and agriculture research, and the millions who rely on it? If so, why is there no evidence after more than seven months? Unfortunately, the evidence is already in plain sight: the President’s budget proposes more than $225 million in cuts to food and agriculture research, which maintains the theme from previous Trump budget proposals. An administration that values rigorous science-based food and agriculture research wouldn’t do that. American farmers, ranchers, and consumers should never have to question whether USDA has their back, nor should the talented and dedicated staff of USDA’s research agencies. Yet, with this proposal, that’s exactly what’s happened. Oh, and the state of the rural economy? That’s not looking so great under Perdue’s and the president’s watch either. Yikes. Indeed, farm bankruptcies are on the rise (subscription). And while farm income has been mostly declining since 2013, the Trump administration’s shenanigans—a tax cut that was vastly oversold, a trade war that grinds on, and a lengthy and pointless government shutdown at the very time farmers needed the USDA’s services—certainly aren’t helping. Repeated insistence of the administration’s devotion to farmers and their livelihoods rings hollow. DIETARY GUIDELINES: Why is Perdue stacking the expert committee and short-changing the science-based process of developing nutrition advice? Last week, the USDA announced the composition of a 20-member expert advisory committee that will consider the state of nutrition science and make recommendations to Perdue and the secretary of health and human services. It’s the science-based heart of the process of updating the federal Dietary Guidelines for Americans, which influences how millions of Americans eat and offers an opportunity to improve public health. But the new panel appears to be more heavily industry-influenced than usual, with members connected to the meat, infant formula, and soda industries. Comments this week by Perdue indicate he is taking a “both sides” approach to nutrition science. Moreover, other recent comments suggest that the process—which is already months behind schedule and not previously expected to be completed until well into 2020—might be rushed to generate final 2020 guidelines by the end of this year. Why? FOOD STAMPS: Why is Perdue circumventing Congress to take food off people’s plates? At this week’s hearing, Perdue will be face-to-face with the House agriculture committee, which just in December voted resoundingly against a major shakeup of the Supplemental Nutrition Assistance Program (SNAP). But on the very same day as that vote, Perdue announced that his USDA would propose a new rule that would undermine the program in a slightly different way, but with a similar result: some 750,000 unemployed or underemployed adults would lose SNAP benefits when the rule is fully implemented in fiscal year 2020. Why was this rule proposed immediately after Congress approved a bill that intentionally removed similar provisions? USDA RESEARCH: Why is Perdue sidelining and politicizing science in his own department? We’ve written about Perdue’s ill-conceived proposal, announced last August, to reorganize and relocate two of the USDA’s four research agencies, the Economic Research Service and the National Institute of Food and Agriculture. The move would unduly politicize important USDA research, and is not backed by any publicly-available cost-benefit analysis. It has been opposed by more than 1,100 scientists, former USDA officials, the agencies’ scientific staff, and members of Congress who hold the department’s pursestrings. Meanwhile, in another recent and related end-around, Perdue circumvented Congress by appointing Scott Hutchins—previously nominated to be USDA chief scientist but not yet been confirmed by the Senate as required by law—to the next-highest-ranking position, deputy under secretary of REE, a role that doesn’t require Senate confirmation. Why is any of this necessary, and who does it serve? I’ll be watching tomorrow to see what Perdue is asked—and what he says—about these and other issues. Hopefully, tomorrow’s hearing is just the beginning of Congress taking up its constitutional duty to provide a check on the USDA and hold Secretary Perdue accountable to the public interest. Grato sería disfrutar un bocado sin molestarnos con consideraciones mayores al sabor y el agrado de nuestros platillos favoritos. Sin embargo, el sistema alimentario funciona de manera tal que la gran mayoría de nosotros lo repudiaríamos si comprendiéramos lo que hace con nuestro aval, el cual concedemos cada vez que pedimos algo de la carta de un restaurante, o nos paseamos llenando nuestro carrito en el supermercado. Por ejemplo, al alimentarnos sancionamos el desgaste de recursos naturales, la contaminación ambiental y la explotación laboral, muchas veces de niños. Tales cosas no ocurren en casos raros, o sin el conocimiento de los gerentes de los grandes corporativos agroalimentarios. Al contrario, a estas grandes industrias les conviene que no conozcamos, o que no nos preguntemos, lo que implica el acto de comer. Es tan contundente el poder del sistema agroalimentario, capaz de entregarnos cualquier cantidad de cualquier artículo comestible cuando se nos antoje—no obstante la temporada, el orígen del comestible, ni la preparación o conservación necesaria para que el artículo pueda consumirse casi al instante de que se nos apetezca—que es comprensible que pensemos que esta maravilla resulte de las mas avanzadas tecnologías y eficiencias industriales. Sin embargo, las eficiencias agroalimentarias engañan. Consideremos que a cambio de la avalancha de comestibles procesados modernos, han explotado la obesidad y la diabetes. Entonces, la “eficiencia” evidente es la de causar grandes males, reducir la calidad de vida y nuestra longevidad, a cambio de grandes ganancias para los fabricantes de alimentos procesados. Que a cambio de la productividad aparente de las grandes extensiones industriales de maíz, trigo, arroz y papa se han desgastado los suelos, envenenado las fuentes de agua potable y extinguido los mantos acuíferos. Entonces, la “eficiencia” resultante es la de minar los bienes naturales acumulados durante milenios para bien económico de un número concentrado de industriales en el presente, sin consideración mayor para el futuro. Y por último, consideremos que este sistema, por mas “moderno” que se presente con sus altas tecnologías en maquinaria, agroquímicos y semillas mejoradas, sería imposible sustentar sin la explotación de los jornaleros agrícolas. Entonces la “eficiencia” que contemplamos es la pobreza, desplazamiento y migración de millones de personas, para bien de quienes nos rehusamos a pagar el precio justo de nuestro alimento. Para que todo esto sea posible—las prácticas nocivas y sus mitologías correspondientes—los sistemas políticos refuerzan, en pleno siglo XXI, los modelos de negocio y las tendencias humanas de eras pasadas, cuando la explotación del planeta y del prójimo se justificaban porque nuestra mella sobre el planeta era mínima. Ahora en día, cuando la actividad acumulada del ser humano dirime la capacidad del planeta para sustentarnos, y gravemente limita la viabilidad de nuestra descendencia, urge un giro iluminado tanto de nuestras prácticas como de nuestras leyes. Por eso es político el sistema alimentario. De manera acérrima, la contienda política está entre una visión fundamentada sobre comprendimiento moderno, informado por la ciencia y por una moralidad que coloca los derechos humanos por sobre los derechos corporativos, contra todo lo contrario, legado de un pasado extractivo, desgastante y sin futuro. Todo esto está de por medio en nuestro sistema agroalimentario, desde los campos de producción hasta los restaurantes y supermercados, casi siempre pasando inadvertidos los reglamentos y las leyes que arbitran lo que se permite hacer a nuestro nombre. A partir de este entendimiento, debemos exigir un sistema alimentario digno del bien público, evidente en nuestra salud, nuestro bienestar, nuestro medio ambiente, y en las leyes que promuevan un futuro vigente y justo. Todo esto lo discutimos recientemente con mi colega Abbie Figueroa en una reciente entrevista, donde contemplamos a grandes rasgos las propiedades del sistema agroalimentario, y nos imaginamos un paseo por un supermercado. Escúchenos aquí, y de paso aprenda de manera amena el trasfondo de nuestro sistema agroalimentario mediante esta gira virtual de un supermercado, en donde irá ilustrándose con cada artículo que añada a su carrito de compras. Disfrute de su alimento, pero a la vez únase a nuestros esfuerzos por mejorar los reglamentos y las leyes que definen al sistema alimentario que formamos todos. The average US supermarket carries more than 30,000 items. With all that choice, you’d think it would be easy to make day-to-day food-buying decisions that are good for people, animals, and the planet. But a trip to a virtual supermarket in a new online feature shows why that isn’t necessarily true, and what it will take to make real change in our food and farming system. But first, a confession of sorts: I shop for groceries as many as four times a week, frequenting multiple grocery stores, a local orchard and farm stand, and one of the country’s top farmers markets. I’m a little obsessive, and I like what I like. But I’m also hyper-aware of issues in the food system, so I look at labels, seek to “know my farmer(s),” and fork over more money for food that is in line with my values. Overall, I feel pretty good about how I wield my personal buying power when it comes to food. And yet, I’m very aware that my choices at the checkout stand—even in combination with millions of other American consumers—aren’t enough. Because even for those of us with the income, education, and interest to make these choices, there is a lot about our food production system that remains hidden from view, and a lot of choices that aren’t ours to make. Moreover, we know everyone doesn’t have the same wherewithal to make the choices I do. And that’s why my colleagues and I at the Union of Concerned Scientists created Shopping for Change. This new online feature lets users wheel virtual shopping carts around a virtual supermarket to uncover some of the actual stories of our food system—from farm to fork—that lurk behind the packages on the shelves. In the process, we hope to help more of our fellow shoppers understand that system, with all its problems and opportunities, and see how they can help push it in the right direction. Like me, you may get your groceries from many sources. Farmers markets saw explosive growth in recent years, and online food shopping, though still a tiny share of the market, is increasing. But even after a decade of decline, the supermarket still reigns supreme—according to a 2018 survey by the Food Marketing Institute, 58 percent of shoppers say it’s their go-to place to shop for food. With most of us shopping there—and spending some $682 billion a year—we set our food system story in the supermarket. And then we filled it with some of the most commonly-purchased fresh food items and pantry staples, which also reflect a range of issues. Take breakfast cereal, for example—nearly nine out of 10 Americans eat it sometimes, and it’s the go-to breakfast for almost a third of us, which makes the cereal bowl a common place we encounter grains like corn and wheat…and the environmental problems they can cause. By contrast, beans and lentils are eaten less frequently, but offer farmers a range of benefits, from diversifying the landscape and building healthy soil to improving their bottom lines. Our supermarket experience tackles questions about other foods: eggs (what does “cage-free” really mean? ), meat (what is its impact on the climate? ), fruits (can we protect workers from pesticides?) and vegetables (how can we help people eat more of them?). There are also some non-food stops on our supermarket tour. We visit the dumpster to look at the problem of food waste, for example, and the back office to explore issues of power, ownership, and equity in the food system. TAKEAWAY #1: Consumers need to do their homework. Labels—fair trade, organic, cage-free, and the like—can be hard to sort out, and some are more meaningful than others. Dig in and do your research. We offer resources with the “receipt” you’ll get when you check out of our virtual supermarket. TAKEAWAY #2: In the food system, everything is connected. While our virtual supermarket necessarily deals with food items and issues one at a time, the food system doesn’t work that way. Fairness and justice for workers, profitability for farmers, and affordability for consumers are inextricably linked. My colleague Rafter Ferguson recently dealt masterfully with those linkages in this blog post. You should read it. TAKEAWAY #3: Large buyers have more power to drive change. Food purchasing decisions aren’t just made individually, consumer by consumer. They’re also made by large institutions like universities, hospitals, and corporate campuses. And, for that matter, by supermarket chains and other retailers. If you don’t see what you’re looking for where you shop, ask for it, or look elsewhere. And for more on opportunities to drive change through institutional food purchasing, read our 2017 report, Purchasing Power, and check out the Good Food Purchasing Program. TAKEAWAY #4: Systemic change also requires policy solutions. Myriad public policies shape our food system—and the choices we have available to us as consumers. This includes, for example: laws and regulations governing everything from pesticide use to food labels; government carrots and sticks for various foods (like vegetable subsidies and soda taxes); and even decisions about which food and agriculture questions get studied using public research dollars. The $30 billion organic-food industry “was created by consumers voting with their dollars,” says Michael Pollan, the author of “The Omnivore’s Dilemma” (2006), another of this year’s crop of books on food politics. Normally, he says, a sharp distinction is made between people’s actions as citizens, in which they are expected to consider the well-being of society, and their actions as consumers, which are assumed to be selfish. Food choices appear to reconcile the two. He’s right, of course. But even with food choices, the reality is that we’re usually wearing one hat or the other—consumer or citizen—at any given time. The more we can learn to merge those roles when thinking about food, the sooner we’ll create a fairer, healthier, and more sustainable food system for the future. As I mentioned in my first post, I’m working to better understand the grim legacy of slavery in this country. 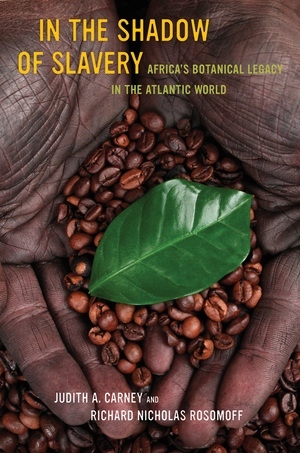 This book re-tells that story through the lens of the traditional crops and agricultural knowledge brought to the New World by African slaves. 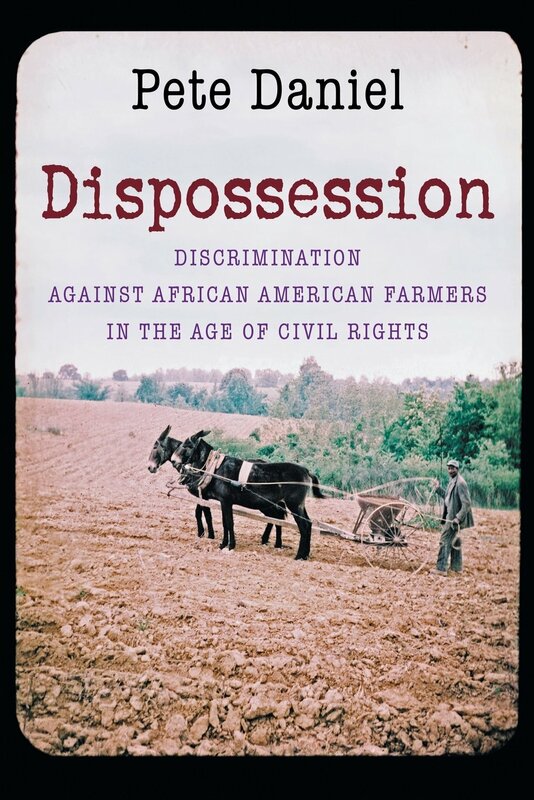 The authors focus on the subsistence gardens of slaves rather than the better-known brutalities of plantation agriculture, in order to show how these gardens were a place where slaves not only figured out how to survive, but also resisted their oppression by using and maintaining their own agricultural knowledge and skill. Find it online. Beginning in the 1600s, this ongoing expansion was powered by forced labor: first with indentured servants from Europe, then increasingly with the labor of enslaved Africans. The production of commodity crops such as wheat, corn, tobacco, and cotton spread through the 1800s as the influx of slave labor multiplied the profits of plantation owners and merchants. Following the abolition of slavery in 1865, sharecropping kept profits flowing while prolonging the servitude of many formerly enslaved people. At the same time, the footprint of colonial agriculture spread west along with a flood of settlers, enabled by the violent displacement of indigenous people, and extending the footprint of destructive agricultural practices. The pressures of consolidation have fallen heavily across all small- and medium-sized farms, but racism and sexism throw more and higher barriers in the path of farmers who aren’t white and male. In addition to the many hurdles created by interpersonal discrimination, racism and sexism have often been expressed through the very institutions intended to support farmers. 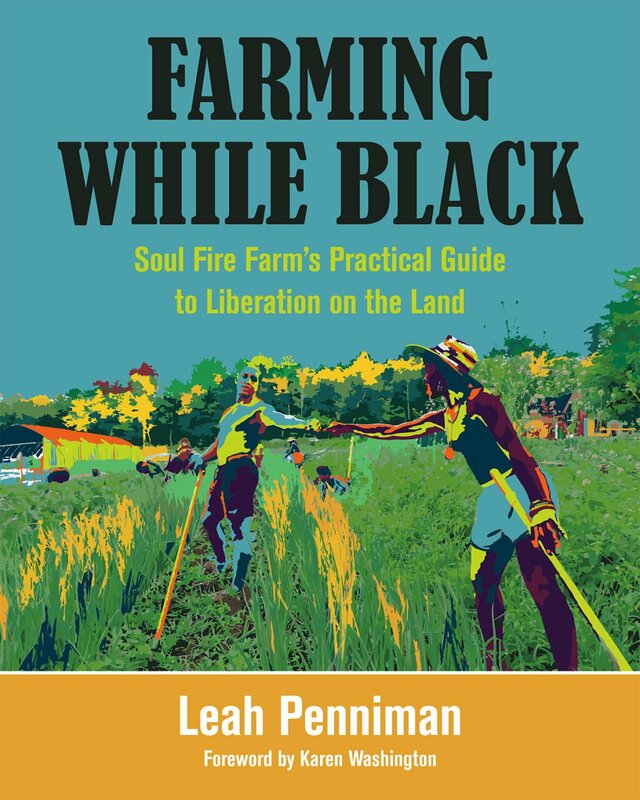 Institutional racism and sexism at the USDA have long made it harder for black, Hispanic, indigenous, and women farmers to access the resources and support vital to the survival of smaller farms, as shown in a series of successful class action lawsuits in the 1990s and 2000s. The slow pace of reform to antiquated property laws that disproportionately affect the descendants of slaves has helped drive massive land loss in the black community throughout the 20th century. There is good reason to doubt that a food system that is environmentally righteous but unjust could be anything more than a passing fantasy. The most ecologically elegant food system food system that leaves people out is just creating the building blocks for a new round of environmental harm. What are those building blocks? I’ll give some examples below, and follow each with a question that invites us to imagine an alternative—to imagine the consequences of not leaving anyone out. But before the march started, on April 29th, Reverend Ralph David Abernathy visited the US Department of Agriculture (USDA) to talk about food and farming. And with the list of demands he carried, the Reverend brought with him the voice of the late Dr. King, assassinated just one month prior, and of many thousands of others—including farmers who were denied land, families who were denied food, and people who were denied dignity. The 116th Congress was sworn in last week, and not a moment too soon. The president’s babysitters have given up, his administration is spiraling out of control, and our country is desperately in need of the checks and balances we were taught about in school. Newly-elected Speaker Nancy Pelosi has vowed that under her leadership, the House of Representatives will step up to its constitutional role. In addition to demanding an end to the president’s hostage-taking of our government, new congressional leaders are expected to investigate a host of high-profile issues: the president’s Russia dealings, his unexamined tax returns, the administration’s cruel and senseless border policy, and its war on our environment. But other Team Trump efforts have flown well under the radar even though they affect all of us every time we sit down to a meal. 1. Safeguarding federal dietary guidelines from industry manipulation. Every five years, the federal government revises and reissues the Dietary Guidelines for Americans (DGAs), and an update is due in 2020. These recommendations for healthy eating aren’t just intended to guide our individual decisions at the supermarket and the dinner table. In fact, their primary purpose is to offer science-based recommendations to help shape the National School Lunch Program, the Supplemental Nutrition Assistance Program, and other efforts to improve public health—many of which are carried out by the USDA. Since its inception in 1980, the guidelines update process has been rigorous and evidence based, relying on the best science and advice from nutrition experts. But that process is about to run smack into the Trump administration, where science and expertise aren’t exactly valued. And with Perdue’s USDA leading the process (in partnership with the Department of Health and Human Services), we’ve already seen signs of trouble. Back in October 2017, for example, Perdue reorganized the Center for Nutrition Policy and Promotion in a way that threatens its scientific integrity, and he has hired officials with deep food industry ties to run the process. Reject a repeat of 2015, when—at the tail end of the DGA process—heavily lobbied members of Congress sneaked into law industry-friendly provisions that eroded the integrity of the guidelines and precluded what could have been groundbreaking efforts to improve food safety, security, and sustainability. 2. Challenging Secretary Perdue’s attacks on hungry people. We’ve written a lot on this blog about the value of the USDA’s Supplemental Nutrition Assistance Program (SNAP, formerly food stamps). This effective, evidence-based program is the first line of defense against hunger and food insecurity for nearly 21 million American households. In 2016, the program lifted more than 3.5 million people out of poverty—nearly half of them children—and reduced food insecurity rates by up to 30 percent. But House Republicans held up the farm bill all last year in an effort to gut the program. And when that failed, just days before Christmas, Secretary Perdue announced a proposed new SNAP rule that would achieve similar results by denying benefits to work-ready adults who have trouble maintaining steady employment. Perdue’s new rule basically circumvents the judgment of last Congress in the final farm bill, and Representative Jim McGovern (D-MA), who just took the gavel as chairman of the House Rules Committee, is promising a fight. Moreover, on its first day in session, the new House voted to adopt a congressional rules package that instructed the chamber’s general counsel to “immediately explore all possible legal options” for responding to Perdue’s proposed rule. Continue to champion smaller nutrition programs, such as the Gus Schumacher Nutrition Incentive program (formerly known as the Food Insecurity Nutrition Incentive program) that work alongside SNAP to help families purchase more healthy foods. 3. Stopping Perdue from sidelining USDA science. The USDA employs thousands of scientists and makes significant investments in agricultural and food research—some $3 billion annually. But despite the department’s stated commitment to “the best available science”, the reality under Secretary Perdue has often looked different (ahem) and many of the department’s scientists have raised concerns about the effects of political interference. Then last summer, Perdue abruptly announced a plan to relocate two of the four USDA science agencies—the Economic Research Service (ERS) and the National Institute of Food and Agriculture (NIFA)—to undetermined sites outside the national capital area. He would also remove ERS from the purview of the USDA’s chief scientist and placed it instead within the Secretary’s office. More than 1,100 scientists have opposed the move, which looks like an attempt to marginalize and politicize these science agencies. Last fall, lawmakers requested a review of the plan by the USDA’s inspector general, and in the waning days of the last Congress, a group of House members introduced a bill to stop it. Insist that he produce a claimed cost-benefit analysis of the proposal and a plan for ensuring program continuity and mitigating staff attrition. 4. Ensuring the new farm bill works for farmers, eaters, and future generations. Last June, the House and Senate each passed a version of a farm bill, that five-year, $1 trillion legislative package that affects all parts of our food system: what farmers grow and how they grow it, the price of food and who can afford it, and more, with huge implications for our health, our economy, social justice, and the environment. The two proposals couldn’t have been more different, and—backed by the Trump administration—House leaders refused to budge from their short-sighted, punitive version for months. But in its waning days, the last Congress finally reauthorized this important legislation, and while the final product isn’t perfect, it maintains the SNAP program and makes other important investments in our food system that must be completely and properly implemented. Use the power of the purse to ensure that all farm bill programs are fully funded at the levels Congress intended. Admittedly, there are many issues demanding the attention of lawmakers. New ones every day, in fact. But food and farming issues are too important—to all of us—to be left to the whims of a dangerously irresponsible administration. Congress must act to safeguard the safety net that keeps our neighbors from going hungry, the dietary advice that keeps us all healthy, and the science and other investments we need to maintain a safe and sustainable food supply for the future. UCS will be working with allies on Capitol Hill to make sure that they do.